Alpine touring (AT) boots are different from alpine ski boots. AT boots are designed for both downhill skiing and ascension using climbing skins, while alpine boots are primarily downhill-oriented. AT boots have a supportive ski mode for skiing downhill, plus a flexible unlocked or "walk" mode that lets your ankle and lower leg flex forward and back for skinning and bootpacking uphill. AT boots usually have a curved (rockered) and lugged rubber sole like a hiking boot that gives improved grip on slippery surfaces and lets you walk more naturally. They also focus on lightness and are increasingly made with lightweight materials like Pebax®, Grilamid, and carbon fiber to save weight without sacrificing performance. The AT and backcountry market is expanding at a tremendous pace, with dozens of alpine touring boot designs available in a wide range of uphill and downhill capabilities. Do some research before you buy and figure out what your needs are. What type of skiing do you plan to do in this boot? Big-mountain riding on wide skis or week-long hut trips in the Alps? Do you plan to use this boot in the ski area, or strictly for touring? What shape of foot do you have, and which brands/models fit your foot best? 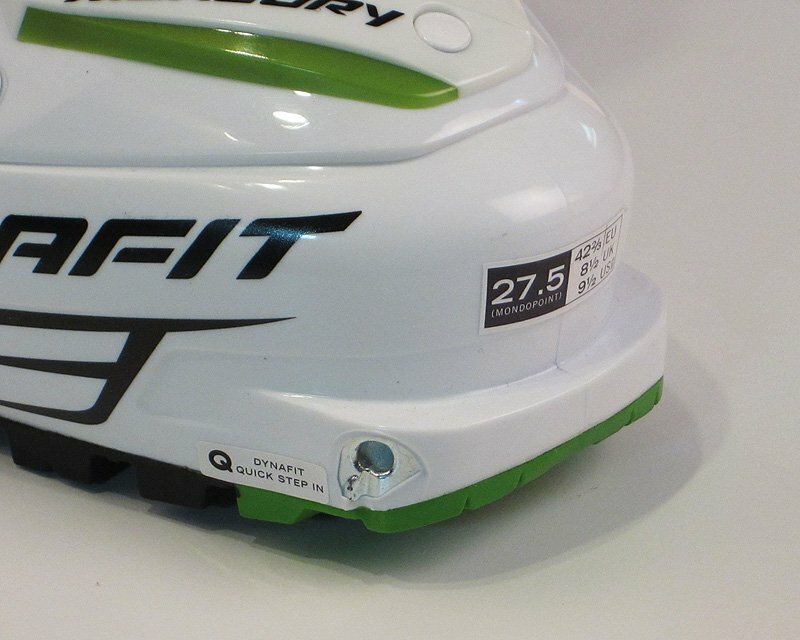 What style of ski bindings will you be using with this boot? What's your ability level, and how supportive of a boot do you need to ski all the conditions you might encounter in the backcountry? If you plan to use an AT boot for all of your skiing, both lift-served and touring, it helps to make an honest assessment of how much of each you’ll be doing and choose your boot with this in mind. Comfort with AT boots is critical - you can't go down to the lodge and take your boots off when you're miles away from the trailhead. Many people skin with their top buckles loosened (causing more fore/aft movement of the foot), so experienced backcountry skiers may fit their AT boots a little more generously than alpine boots in length. There are fewer fit options in AT boots than in alpine boots. If you find an AT boot with the weight and features you like, chances are you won't be able to get it in a narrower or wider fit. That means you may have to seek out the services of a professional bootfitter with experience in modifying AT boot plastics (often not the same as alpine boot plastics) to make the boot usable. Many AT boots include a thermo-formable liner, which makes for a warmer and more accurate fit. Deal with fit issues before you head out on a trip - aching feet and blisters can be more than just an inconvenience in the backcountry. Remember that not every AT boot will work with every alpine touring binding. Tech bindings require a boot with molded-in toe fittings and a slotted plate at the heel. If you wish to use these bindings, you will need to have a boot with these fittings. MOST AT boots and alpine boots will work with MOST frame AT bindings (Marker, Salomon/Atomic, Tyrolia, Fritschi), but be sure to check the manufacturer’s recommendations. Boots with minimalist soles that do not conform to ISO 9523 specifications are compatible only with tech bindings. Pre-2014/15 Salomon Guardian and Atomic Tracker bindings without sliding AFD's are compatible only with WTR (Walk to Ride) soled AT boots or ISO 5355 alpine boots, not ISO 9523 boots. AT boots with rockered ISO 9523 Touring soles are not compatible with many Alpine bindings. Even if they "fit", release may not be consistent. Exceptions are Marker Sole.ID models, Tyrolia AAAttack AT models, and Salomon/Atomic MNC models, which are compatible with both types of soles. Look/Rossignol bindings labeled "WTR" or "AW" are compatible with boots with WTR (Walk-to-Ride), GripWalk and ISO 5355 soles. Some AT boots designed for performance downhill skiing offer interchangeable alpine and tech soles, which enable you to switch between alpine bindings and tech AT bindings with the same boots. These soles are normally available as an aftermarket option. The question of how much boot you'll need to confidently ski all terrain and conditions can be more complicated than you think and depends on the individual and the day. Even the experts are constantly adjusting their idea of what boot works best for them, so don't feel bad if you aren’t able to figure it out right away. If in doubt, choosing a slightly heavier, more supportive option is probably safer. While this may seem inconvenient on the way up, the added security of a sturdier boot can make all the difference on the way down. Can I use AT boots with my alpine bindings? It depends. Most crossover AT/alpine boots are designed to be compatible with alpine bindings. Although some alpine bindings will adjust to accommodate the higher AT boot toes and it may physically fit in, manufacturers warn against using true AT boots in alpine DIN bindings because the added grip of rubber soles can prevent the boot from properly releasing during a fall. 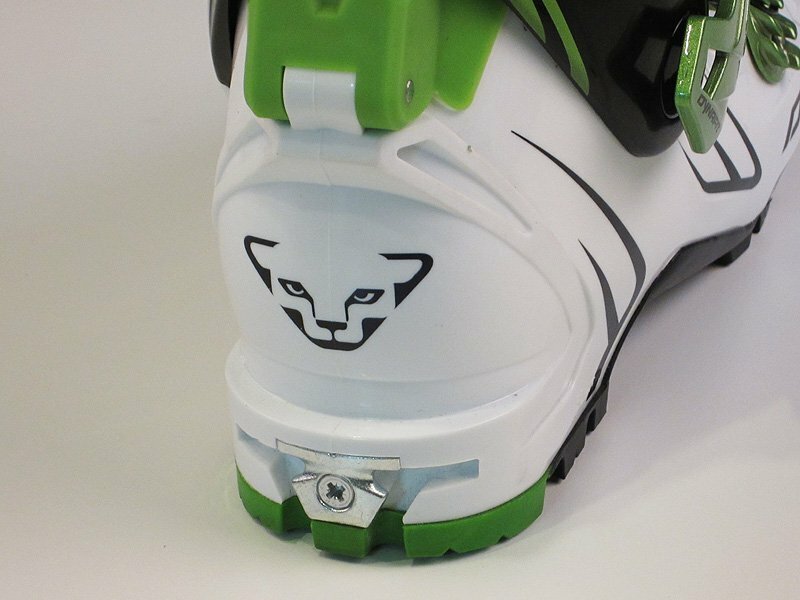 Some AT boots come with or have available aftermarket alpine soles that can be installed by the user and are designed for use with alpine bindings. Marker Sole.ID, Tyrolia AT and Salomon/Atomic MNC bindings allow use of either ISO Alpine or Touring soles. Bindings labeled "WTR" (Walk-to-Ride) or "AW" are compatible with WTR or ISO 5355 soles. AT boots with Dynafit QuickStep toe fittings (limited to certain Dynafit and Scarpa models) are not compatible with Salomon or Atomic MNC bindings. Ask a certified ski tech if you are uncertain about a specific boot / binding compatibility issue. Can I use an AT boot for all my skiing, lift-served as well as touring? Many people do this successfully, including many ski professionals. A one-boot quiver may involve some compromises, though, in binding choice and downhill capabilities. Will an AT boot be as durable as my alpine boots? It depends. Beefy AT boots will last for years even when worn on a daily basis. Light boots with thin shell walls and streamlined hardware may not. Rubber soles may wear quickly if you scramble over rock or walk on hard surfaces frequently. How much performance will I give up if I switch to AT boots from alpine boots? Maybe not much at all, but it depends on which alpine boot you’re coming from. The latest crop of high-performance crossover AT/Alpine boots are very close to high-end alpine boots in stiffness and response and still have decent tour modes. Can I retrofit tech fittings into my current AT or alpine boots? Not recommended. It's been done, but it's time-consuming and easy to mess up, plus you have to locate a pair of old tech boots to scavenge the parts out of. Can't I just skin in my alpine boots? Yes, but the question is for how long? Most people find skinning for any length of time in alpine boots that don’t have a walk mode quite uncomfortable. **You should carry an avalanche beacon, shovel and probe when travelling in avalanche terrain and know how to use them. Backcountry travel requires an acceptance of the risks involved (avalanches are not the only danger) and implies a willingness to take responsibility for educating oneself about these dangers and ways to mitigate them. We recommend that backcountry travelers take an AIARE Level One class or the equivalent, and practice the skills they learn there regularly with their partners.